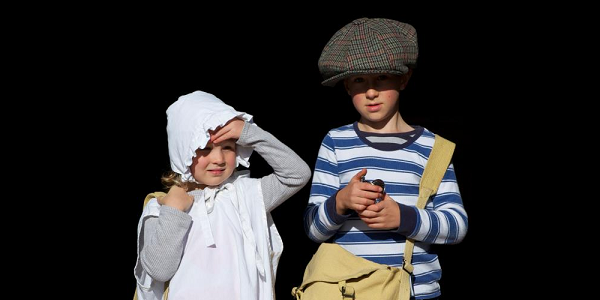 Chiltern Open Air Museum is a great day out for the kids as well as the rest of the family. There are lots of hands on activities for you to do and lots of space and woodlands to run around an explore. We also run lots of family workshops and experience days, as well as archaeological excavations. Every Tuesday in Bucks school holidays we run special themed family craft and activity days all organised by the Museum’s award winning education team.All Terrific Tuesday activities and crafts are included as part of our admission price. Have a look at our events pages to find out the dates and themes. We have over 20 living history and special events planned for 2019 including May Day celebrations, Roman Gladiators, Tudor Courtroom and Ragged Victorians. Please see our events section for our full program. We offer a variety of workshops for both adults and children such as; silver jewellery making. If you’re looking for something special we also offer special family experience days in prehistory, willow weaving, historic baking and bushcraft. Details coming soon. Each session costs £10.50 or £5 for Annual Pass holders and must be pre-booked.